It can be difficult to grasp the concept of auto loans. After all, there are a number of different lenders that a borrower could opt for, and the selection of loan offerings is enough to make one’s head spin. Just take a deep breath. The entire process isn’t all that bad, especially if you have the required amount of knowledge before you start shopping around for an offer. Thanks to us, all of the necessary information is at your fingertips, helping you through the process of finding your ideal car loan. There’s no denying that the entire loan process can be tiresome and difficult to understand. These issues are only made worse when you’re provided with multiple loan options. Fortunately, a simple interest loan is the most common offering provided by lenders, and the concepts are relatively easy to wrap your head around. A pre-computed loan is a rarely used alternative, but despite how restrictive it is, borrowers may be able to use this route to their advantage. It’s especially important to understand the nuances and terms of each individual loan before you make a decision. Furthermore, before you drive to a dealership or financial institution, you’ll want to be well-versed in the two main types of auto loans. If you’re seeking a loan for a car, regardless of whether it’s new or used, you’re likely to come across a simple interest offer. Essentially, the interest that is due on this loan is based on the remaining balance of the agreement (as opposed to the initial cost). Therefore, borrowers will find that they can save a significant chunk of money by paying off the loan sooner (or even paying more than the required minimum). This loan option is essentially the opposite of a simple interest loan, as it figures out any interest or payments prior to a deal being agreed upon. This means a borrower is locked into consistent payments, and there’s no incentive to paying off the loan sooner. However, these borrowers may be able to negotiate a preferred payment plan if they decide to opt for this option. Considering how restrictive this route is, borrowers will only see it in extraordinary circumstances. Fortunately, for those shopping car loans, there are several different routes to consider. Each of these lenders provides their own specific advantages, so they can truly be chosen based on the borrowers’ needs. For instance, a bank has timely service and low interest rates, but these loans tend to last a bit longer than the alternatives. A dealership is the opposite, as their interest rates may be a bit higher, but it won’t take as long to pay off (plus, you’re interacting with both the lender and the car seller, providing an advantage to the customer). There’s also the home equity loan, which is not often chosen, but still an avenue that could benefit a specific grouping of borrowers. Regardless of which choice you prefer, you’ll want to confirm that the loan properly fits your budget and needs. Banks can offer a number of incentives if you decide to check out their loan offerings. For starters, thanks to their large amount of capital, these businesses can take the risk of offering low interest rates. Furthermore, if you’re looking for a loan as soon as possible, their expertise in this area means you can agree on a deal relatively quickly. This sentiment also applies to credit unions, as these nonprofit organizations can provide low interest rates. However, you’ll have to be eligible for membership with a particular branch to take advantage of their loan options. Dealerships clearly want to sell their inventory, but this isn’t always possible if a customer can’t afford their inventory. As a result, the dealership will offer their own loan options, providing a chance for their customers to make that purchase. One benefit is the timeliness and speed of the process, plus the dealership can serve as a one-stop shop for a loan and a car purchase. On the flip side, you’ll probably find that the interest rates are a bit higher. This is an option that usually isn’t taken advantage of, but it certainly makes sense for some borrowers. In this case, a lender will provide a loan that’s based on the borrower’s equity on their house. Owners will use this money to make quicker payments, but they can also utilize it if they’re in need of a friendly loan for a large purchase. Best of all, these loans are often tax-deductible, incentivizing this possibility for a car loan. The loan process can still be a bit overwhelming. Fortunately, there are a number of tips that you can keep in mind which should make the entire process go much smoother. By remembering these hints, borrowers won’t be manipulated into taking a deal on lesser car loan. Whenever you’re shopping for a particular product, it makes the most financial sense to investigate the best prices. This surely applies to car loans, as borrowers don’t want to be locked into a non-advantageous agreement. Aside from having to dedicate the necessary time and effort, shopping around for the best price isn’t too much of a hassle. By opting for this strategy, a borrower can identify a certain option that best appeals to their budget. Alternatively, by avoiding this route, these borrowers could be missing out on a better deal elsewhere. Who knows, if your credit is in good standing, you could even use these multiple offers as leverage. There are truly no downsides to shopping around for the best possible auto loan. That shiny new car parked in your local lot is certainly enticing, but you don’t want to commit to a purchase before you’ve finalized the necessary car loans. Lenders won’t necessarily take back an offer. However, if you’ve failed to do any research, you may learn that the anticipated loan is significantly less than you had expected. Fortunately, if you pursue a loan from a dealership, you could finalize both it and the car purchase in the same transaction. Therefore, if you’re looking to purchase a vehicle as soon as possible, a dealership may be the best option for a loan. Don’t be bullied into making any particular deal. While you may not be the one dishing out the money, you should remember that the borrower is still in complete control of the situation. If you’re unable to secure a loan that is to your liking, shop around for a better deal elsewhere. There’s a good chance that the lender will try convincing you that their offer is truly the best, and they may manipulate you into signing any papers. Don’t do that. Throughout the negotiation process, remember that you’re in complete control. Now that you’re equipped with that necessary amount of knowledge, it’s time to do your shopping. For those residing in the Albany, New York area, there’s truly no better option than DePaula Chevy. 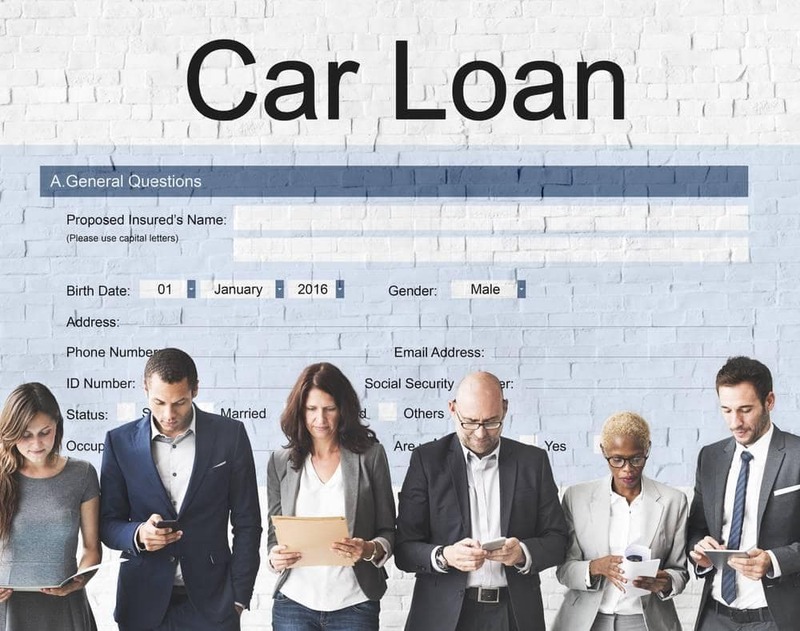 The dealership doesn’t just provide their customers with a vast selection of vehicles, they also provide them with a number of loan options, making it incredibly easy to finalize any purchase.